** EASTER AND ANZAC DAY TRADING HOURS** - Now posted in the blog section of our website. Please select Blog from our main menu for more details. Vaucluse Mobile Dry Cleaners for Ironing & Laundry & More. Book online today and get started. Get the best in modern dry cleaning services with The Shirt Butler. You’ll receive a quality dry cleaning service directly to and from your door. All you need to do is schedule a pickup and our team will collect your garments at your designated location. Your items will be scanned and tracked and cleaned using the highest quality dry cleaning processes. Aren’t you tired of doing your laundry? With the Shirt Butler you’ll not only save time but you’ll have more time to do the things you love. Wash and Iron – Just like the above but instead of folding we’ll ironing it for you too. Ironing – Fast and thorough ironing of all of your clean garments. Wash and fold services are starting from as low as 2.99 per kg and ironing from as low as $1.30 depending on the item. Have a question? Why not give us a call today or contact us through our website and one of our friendly team will respond to you shortly. Need a pickup? Fill out the form and schedule your pickup for the next available pickup day. Not at home? 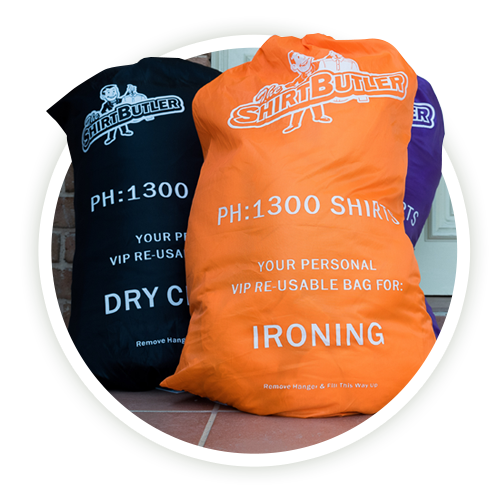 Don’t worry we collect your garments unattended, direct from your chosen location, using our VIP service bags. Relax while our in-house experts clean your garments within 48 hours using sensitive & eco responsible detergents. Each item is quality assured prior to delivery. Whether home or somewhere else, our automated item tracking provides full accountability of all your favourite garments. We text/email you on pickup & delivery. Every order is guaranteed to be cleaned to your satisfaction or we will re-clean it free of charge – no exceptions. From sms pick-up reminders to delivery confirmations and email tax receipts, we will keep you informed every step of the way. deliver right to your door – free of charge. for full track-ability ensuring no loss of items. If you’re located in Vaucluse then you’re in luck. 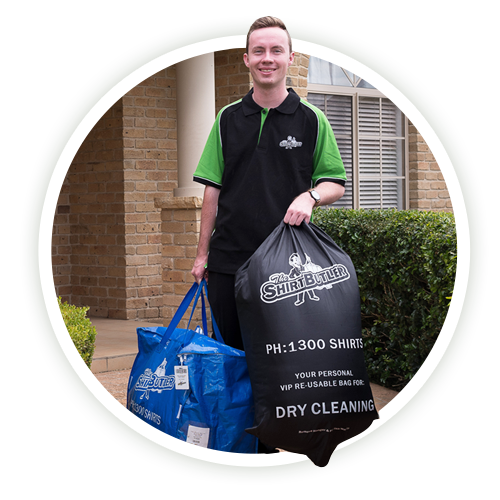 You can use the Shirt Butler who is the #1 fastest growing dry cleaning service throughout Sydney. If this is the first time hearing about The Shirt Butler then you might not be aware of some of the great benefits you have when using us for your laundry needs. Unlike most of our competitors we have no minimum order value. We use Omo Sensitive for our laundry and there is no use of perchloroethylene in our dry cleaning plant. Individual bag tags, bar codes and garment tags allow for full trackability – ensuring no loss of items. No more sitting in traffic or trying to find a parking space. Save petrol costs, parking fees and precious time. Vaucluse is just one of the many suburbs that we service across Sydney. If you’re in Vaucluse then you’re in luck, we service your area and will be servicing more areas very shortly. If you’re not sure whether The Shirt Butler is a service for you, feel free to view our frequently answered questions and some of your doubts might be answered. Rest assured, quality is assured and our extensive tracking system means that no garment is ever lost along the way. 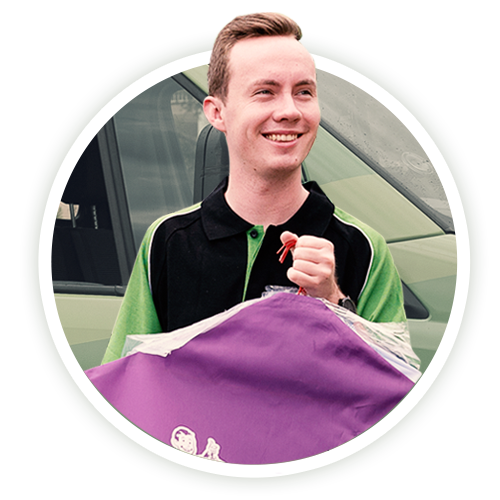 If you have any questions, why not reach out to one of our friendly team to answer any questions you might have and let’s book in your first pick up today. After I place my order, where do I leave my bags? When completing our booking form online you can inform us of your preferred secure pick-up/drop-off spot (e.g. front door, back door, doorman/front desk, package room). Leave your bag(s) at this location by 7am on your scheduled pick-up day and we will collect it during the day. When you set up your account we place your credit card details on file. Your selected card will be automatically debited for each order once it is ready for delivery. We accept Visa, Mastercard and American Express. We pass on the merchant fees at cost without mark up. Unfortunately our drivers are unable to take any type of payment upon pick-up or delivery. What are the pick up/delivery hours? In order for your order to be collected on time, it must be at your designated pick-up spot by 7AM on your scheduled pick up day. Designated pick-up and drop off spots will be agreed with you when you place your first order (e.g. Front Door, Back Door, Doorman, Reception). Orders will be delivered back to you by 5 PM on the next delivery day after your order is picked up. For example, if your order is picked up on Monday after 7AM, then it will be delivered on Wednesday by 5 PM. I’m very pleased with The Shirt Butler’s quality & service. I strongly suggest that you try them out at least a few times. I was one of The Shirt Butler’s first customers. They have continued to earn my business ever since then. I can depend on them!